Yeah, I put that down as the high end. Some people are completely looney tunes and suggest Draisaitl + for a goalie. We may have the 3 best players in the CHL right now in McDavid, Nurse, and Draisaitl. The future looks bright. (I can’t believe I’m saying that again) lol! The things is that last time we had good prospects, we also had no resemblance of an NHL team and had to throw our young guys to the wolves. This time we have an NHL team full of stars/potential stars. Bring in in the best prospect we’ve seen in the last 30 years and we have the potential to be a firing squad. Obviously there’s glaring holes on defence and the goalie position but Peter’s on it. I think you need to take a hard look at why our goaltending is terrible and some teams always seem to have goalie depth – it’s not just defence or the individual. LA is a goalie factory. 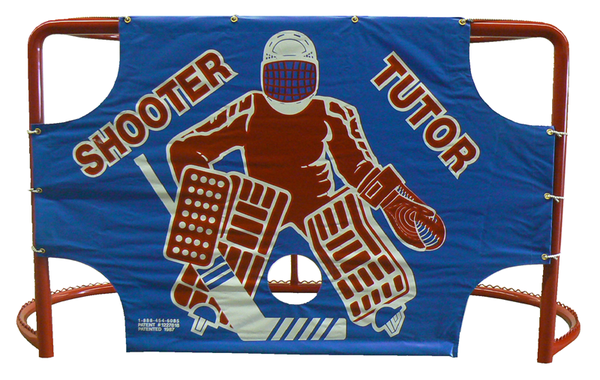 Montreal developed Tokarski and to a point Halak. Vancouver produced Lack and Schneider. Anaheim always seems to have two in the hopper. Ottawa is always making something from nothing in net. These organizations are doing something right between drafting/developing and coaching that we clearly are not. Going out on the market to upgrade goaltending is important. Finding a way to stop being reliant on other teams for goalies is just as important. We need 2 solid D. and 91% goalie. let’s get proven players 4 a change. We have had a “real” management team for just a few days. I think a #1 goalie is at the top of the list with Scrivens as back up.The rest of the squad it is hard to determine what we have , as they have been mismanaged for so long. Let PC do a proper evaluation as we wont have to listen to stupid comments like Justin Schultz has Norris potential. I for one would be telling each player that if there is a scrum and you are checking your skate laces, you are out of here ASAP. No more passengers. I would only resign Shultz to trade him. Otherwise let him go to UFA. He didn’t cost anything to get. so no loss. Let him be someone elses problem. I dont think they should gamble again on backup goaltenders like jones or talbot especially since they come from teams that are pretty solid on D.
I would go after Craig Anderson. Hes a proven #1 and has been able to put his team on his back and steal some games. I wanted him when Roli left but we went after KhabiBoozin. I hope the Oilers save the trade chips for Defense and sign Niemi instead of trading for a goalie. Is Niemi the best goalie out there? No. Is he a perfectly good, proven and a consistent starter? Yes. Is he “free”? Yes. Are Talbot, Jones, Tokarski, Gibson, Lehner etc all question marks as being a starter? Yes. Are they “free”? No. Are any of the UFA defense top pairing answers? Maybe some were 4 years ago but now, no not really. Like the idea of Talbot, but the PIT 1st is too much to pay for him. The prospects slated to be available at that pick compare favorably to prospects usually available in the 8-10 range. Which shouldn’t be too surprising, given that a guy who would’ve gone ahead of Yakupov (Marner) in 2012 could go as late as 5th. Unless the goalie coming back is Cory Schneider, trading the pick for him isn’t worth it. Talbot looks good, but he’s too unproven and is only a year from UFA. That said, I’d move one of the 2nds for him. Even without the defenses ‘help’ there’s been far to many suspect goal in Oil country over the past few years. We can blame the D all we want (and they deserve lots), but at the end of the day the goalies job is to stop pucks plain and simple. They absolutely need to be able to do that. In the playoffs so far look no further than Hiller, Price, Hammond, Anderson etc… They all stop pucks. The D has a responsibility to limit the quality and number of shots taken but shots will get through. When they do the goalie needs to be able to do his job and the Oils goalies are not that top quality consistently dependable duo we can rely on. I remember reading somewhere on Twitter that according to a professional scout, he thought Talbot would go for a 2nd round pick “if a team was desperate enough” but most likely a high 3rd or 2 draft picks. I personally would pay this in a heart beat for Talbot, what say you ON? Jones has only played 15 NHL games in his career and won only 4. How is he an upgrade or even in this conversation? We just got Fasth and Scrivens who had no experience and we know what happened there. MacT probably could have picked up Hiller or Bishop last year. That was this years stats, not his career. He went 12-6 last year. And out of the 4 wins this year he had 3 shutouts and an overall 2.25gaa. But I agree with you. Taking backups from teams that are solid defensively and throwing our D in front of them is a recipe for disaster. Even with a guy like Talbot. They need to vastly improve the D for them even think about going after unproven starters. McDavid willing haha, I love it! “We got Devan from Edmonton, and what we realized very quickly was that Devan has a lot of… I’ll say bad habits he’s picked up this year,” Predators coach Barry Trotz told Nashville radio station 94.9 Game2 on Wednesday. “We started him at home, and you could really see he was out of sync in his game, so we wanted to spend some time with him working with [goaltending coach] Mitch Korn, just being able to get his game in order.” Edmonton didn’t build him, they broke him. So, was Dubnyk the problem or the Oiler coaches? I would suggest the latter. Find better goaltending coaches to replace those that were fired. Nov 24/14: “The Edmonton Oilers have fired goaltending coach Frederic Chabot……Dustin Schwartz, a former goaltending coach of the Western Hockey League’s Edmonton Oil Kings, will replace Chabot.” Is he the best candidate for the job or was he handy as a coach for EOL. I would like to think the former but I’m guessing the latter. Next change after the coach is hired. If you have to ask the question then you just don’t know the answer yet. I hate how mac-t would always try to leave us with a flashy, good sounding quote instead of just doing his job. Niemi 2 yrs, $4million/yr. Use trades to get the D-man. i realize there is an emphasis on goalies’ save%, and to look at that separate from defencemen. What I’d be interested in seeing is an analysis of the Oilers’ goals against using the green-shots/red-shots analysis. There is a difference between a green goal (like a tap-in) and a red goal (shot from centre ice that somehow went in). I realize they’re not all that cut and dried, but it seems like a valuable metric that takes into account the quality of goals scored. I’ve been thinking about how this stat applies to Dubnyk’s final games as an Oiler and his play this season. If the Oilers allowed a tremendous number of green shots with the Swarm, and the Wild minimize the number of green shots, then the bump in save % is at least partly due to the team’s d-men and scheme. There was a game against washington when dubnyk was here and majority of the shots came right in the slot with no d-men pressuring the shooter. When that happens, you’re gonna let in softies. The Eakins swarm set this team back 2 years and caused mac-t to make a knee jerk trade of a decent goalie for a 4th liner(hendricks is awesome but still). That’s what I was thinking. You give up that many quality shots, of course the save % goes way down. This is also part of my issue with Corsi. Eakins was all about getting the number of shots up indiscriminately. They don’t just need shots; they need quality scoring chances. Yeah funny that we we’re actually out shooting our opponents at the start of the Eakins era. Everyone was saying “We’re outplaying them but we just have bad luck” or they would blame dubnyk. Getting 36 perimeter shots doesnt make you a good team. I don’t think most fans thought we were outplaying them and just having bad luck. It was more like when the opposition scored a bad goal the Oiler’s didn’t have the ability to recover from that. Maybe Eakins and some of the players thought that but not any fans that were watching the games. Didn’t most fans and authors here said last year that Dubby wasn’t good enough and we needed a better goalie? So it turns out that Dubby can get the job done in Minnesota? My question is how many goaltenders are better than Dubby and available? If Dubby cannot help us, is Niemi who can’t help the Sharks to make the playoff able to help us? Or it is going to be one of these young talented but unproven goalies? Honestly, who is not considered an elite goalie do you think can help us with this defense group?